Awhile ago, Paul Berger contacted me. With some excitement he told me that Minor Matters would be publishing his first real monograph, to be entitled Multiplex. I wrote then that I thought it was overdue. It’s been a long time since The Machine in the Window, the only real catalog of his work so far, came out. His work has been all over the country since then, in numerous exhibitions and publications, but there has been nothing dedicated deeply to his work since the release of that book in 1990. That’s a long time for one of the world’s finest photographers to go without a publication. It’s not as though he is obscure. He has been working in the photographic medium since 1965, and studied with Robert Heinecken and Robert Fichter at USC, and Nathan Lyons at the Visual Studies Workshop in Rochester. Not only did he teach at the University of Washington’s School of Art for 35 years, he also founded the photography program and, with Richard Karpen, helped lay the foundations for the DXARTS digital art program there. All during which his work was being acquired for various collections including the Art Institute of Chicago, LACMA, ICP, SAM, Bibliothequé Nationale, and many others. Part of the problem, I think, has been that Mr. Berger has been working with digital arrays for much of that time. Because his gift for digital work is so unique and powerful, I have wondered often whether book publishers, who tend to be notably conservative, have been at a loss to know how to even print it. Some of Mr. Berger’s serial work since 1998 seems so at home on the World Wide Web that printing it in a book might seem to ossify it. Yet books remain necessary, even in the 21st Century, and a photographer of Mr. Berger’s stature ought to have a book that, if nothing like a digital hypertext installation, offers a clear survey of the artist’s interests and at least an approximation of the work itself. Multiplex will be that book. According to the press release from Minor Matters, the book will be divided into four main sections: “Site of Notation,” “Mechanics of Narrative,” “Arenas of Evidence,” and “Automaton.” These are familiar phrases to long-time viewers of Mr. Berger’s work. Indeed three of them — site of notation, mechanics of narrative, and automaton — come directly from Rod Slemmons’ introduction to The Machine in the Window, and Mr. Slemmons will also be writing the introduction to Multiplex that will doubtless update and expatiate upon the terms. If you look at the different bodies of work I’ve done, each one can be seen as having its own arena, its associated automata, and a final compilation of parts by me into a viewable form and format…. My task is to isolate an arena, build the “machine” to view it with, and then respond to the visual results. This theme will be the heart of Multiplex. Each of the book’s four sections will also begin with a text by, or chosen by Mr. Berger. They are intended to add detail and insight to the highlighted bodies of work. Rod Slemmons will be contributing another essay to this book as he did with The Machine in the Window, but interviewing duties this time will fall to Jon Feinstein of the Humble Arts Foundation. 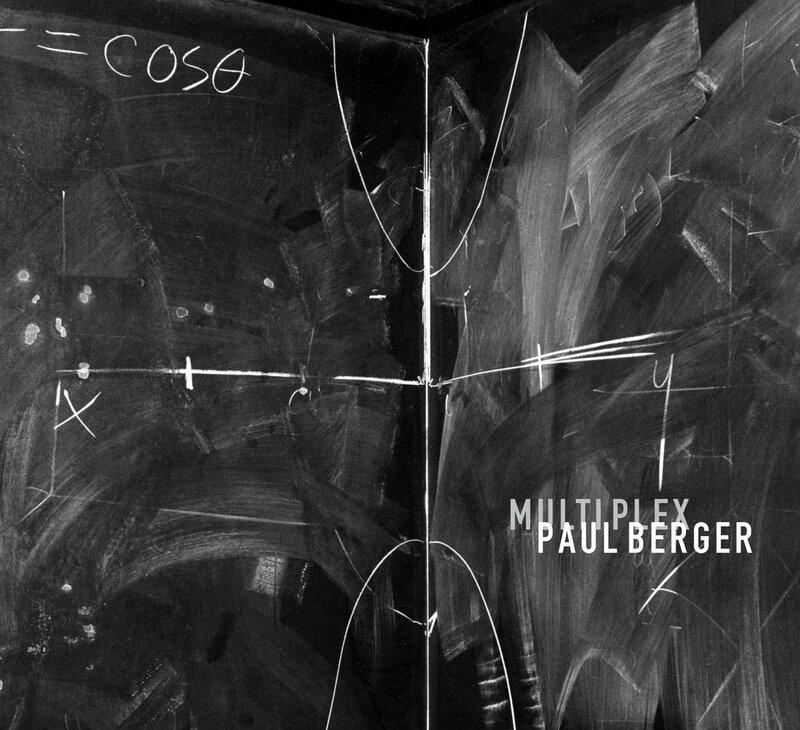 The highlighted bodies of work in Multiplex will begin with Mr. Berger’s Mathematics series from 1976-77, followed by Camera Text or Picture (1979), Seattle Subtext (1984), Print Out (1985), and Cards (1989). Those series are also treated in The Machine in the Window, so I expect this treatment will be different and more comprehensive. The rest of the series in the book have never been collected before. Beginning with World Info, his study of weather forecasts from 1992-1994, Multiplex will also treat his lesser-known partially analog Card Plates (1998-9), his fully-digital Second Life (2006-9), and his beautiful Warp and Weft series from 2000-2005. Additionally, the end papers feature two of the synthetic panorama works that have occupied his attention since 2008 — a fitting container and summary of over fifty years of creative photography. The choice of Minor Matters as publisher makes sense in many ways. Co-founder of Minor Matters Michelle Dunn Marsh is also the executive director of Seattle’s Photographic Center Northwest, and certainly familiar with Paul Berger’s work. Their books are lush and sensuous to behold; the quality of their material is equally impressive. The catch is that Minor Matters pre-sells their books before printing. They require 500 pre-orders of a book before printing. Last I checked the orders so far for Multiplex were under half that number, though of course Christmas is still just around the corner. This book should most definitely go to press. So go buy yourself a present. Buy your local hip photographer one, too. It’s criminal for a photographer of Paul Berger’s stature and influence not to have a fair, accessible representation of the last twenty five years of his work. It also contributes further to that tedious Pacific Northwest myth, that everything from somewhere else is so much better than here, while the geniuses in our midst continue to slave away in absurd obscurity.